This was painted in the Nawiliwili boat harbor. 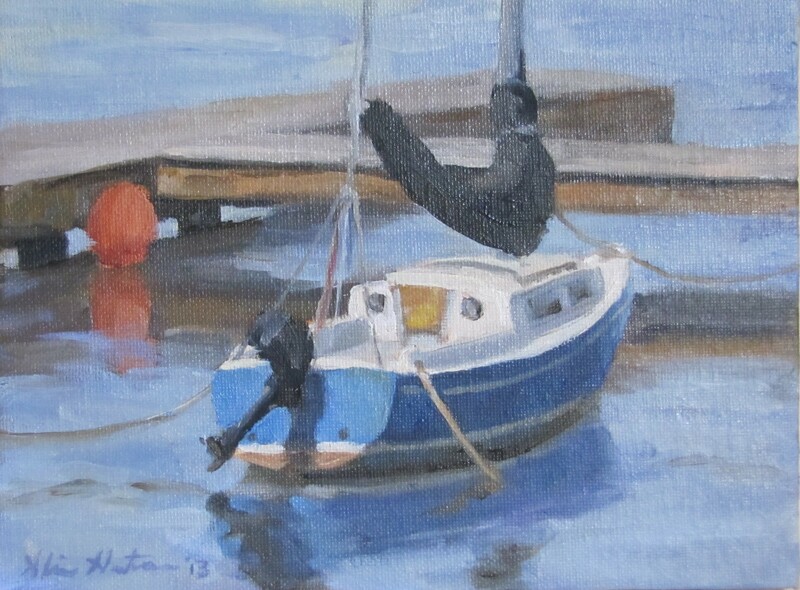 I have been painting a lot of boats lately since JT is spending more time sailing. We have only three weeks left in Kauai before heading back to Wyoming so we are trying to fit all that we want to do in before our departure. This is where we disagree. What JT wants to do: ONLY Surf & Sail. What I want to do: hike the Kalalau trail, kayak to the fern grotto, see the Kilauea Lighthouse, visit the Limahuli Botanical Gardens, see some new beaches, snorkel, and maybe do some more EASY surfing.